In our Top 10 List we try to provide some information about top football paying countries. We hope that you will like our Top 10 List of football paying countries. 1. 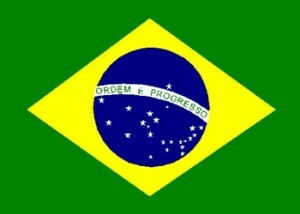 Brazil: The number one of our Top 10 List is Brazil. The nick name of Brazil national football is BRA. Brazilian football confederation controlled the whole matter of Brazilian football in short CBF. They are the first class member of FIFA. The Brazilian football team won the world cup for five times. In the FIFA ranking the position of Brazil is 5th at this time. But it is the best team ever. 2. Argentina: In the Top 10 List the second position gained by Argentina. The nick name of Argentina is Seleccion de futbol de Argentina. This Argentine football team is controlled by AFA. The name of the home stadium is Estadio. In the FIFA ranking Argentina gain the 4th position. In the year 1978 and 1986 Argentina won the world cup. Argentina also won the Olympic gold title in football in 1992. 3. Spain: In our Top 10 List we keep the Spain in the third position. They are the current world cup champion. Royal Spanish football federation maintains the whole matters of football in Spain. Spanish league is the most famous and costly league in club football. In 1984 Spain own the European National Cup; in 1984 they reached in the final UEFA Euro final. The nick name of the Spanish football is la Furia Roja or La Roja. 4. Germany: In our Top 10 List we keep the Germany in the 4th position. The German football national team is known as Die deutsche Fußball national mannschaft. German football association was established in 1900. Germany won the world cup for three times. In 1776 they won the Olympic gold. They also won the European championship for three times. The Germany also gains the second position for four times in the world cup. 5. England: In our Top 10 List we put the England in the 5th position. England is the home homeland of football. England has the oldest national team among the world. First international football match was held in England in 1872. England won the world cup for one time in 1966. The football matter of England is controlled by The Football Association. 6. France: In our Top 10 List we think that we should keep the France in the 6th position. The France national football team is known as Equip de France. French Football Federation handles the whole activities in French. The franc football team is known as Les Blues. French played the first international football match in 1904. In 1998 they won the world cup title. They defied the Brazil by 3-0. In 2010 they reached the final of the world cup. Now they are the 15th team of FIFA ranking. 7. Italy: In our Top 10 List we keep the Italy in the 7the position. The national team of Italy is known as la Nazionale. The Italian football is controlled by Italian Football Federation (FIGC). They are the Second successful team in the world cup. They won the world cup title for four times 1934, 1938, 1982, and 2006. They also won the good title in Olympic in 1936. They also own the European championship in 1968. Te color of the jersey of the Italian football team is blue. 8. Uruguay: We think that we should keep the Uruguay in the 8th position in our Top 10 List. The football of Uruguay is controlled by Asociación Uruguay de Fútbol. It is the 18th position in the FIFA Ranking. Uruguay is the 14th times champion in Copa America. The Uruguay won the world cup title for two times. They also won the Olympic gold title for two times. They won almost 19 official titles. 9. Portugal: In our Top 10 List we keep the Portugal team in the 9th position. The Portuguese football team is known as Selecção Nacional de Futebol de Portugal/Club de pottugal. They can’t own any big title. They played in the world cup for two times. They reached the second position in the 2010 world cup. They first include in FIFA in 1966. It is now one of the best sites of the world so we keep them in our Top 10 List. 10. Japan: In our Top 10 List we keep them in the 10th position. It is the best team of Asia. The Japan football team is known as Soccer Nippon Daihyō. Japan football association controls the whole matter of football in Japan. They played four times in world cup. Japan won the AFC title for four times. They are the most successful site in Asia. These are the Top 10 List of football paying countries. This Top 10 List of football playing countries is not maintaining the FIFA ranking.